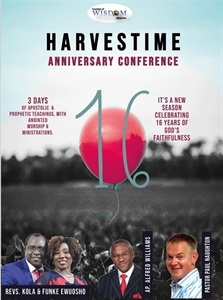 Harvestime Church, UK, turns 16! It's the season of fulfilment of dreams; restoration; and joy and gladness! Listen as Apostle Alfred Williams and Pastor Paul Naughton, share prophetic words and insights.